As a motivated entrepreneur, you can easily taste success by launching your website using the Agriya's wonderful freelancer platform, named as 'Getlancer'. Agriya, the leading web development company, has introduced this platform to the online world, especially for the entrepreneurs who desire to launch a freelance marketplace website. 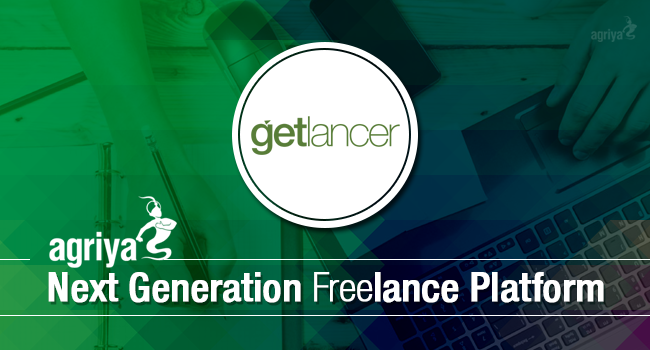 Getlancer platform comes with three incredible business Models – freelance bidding, jobs listing and portfolio – which will no doubt give a pleasant user experience to employers and freelancers who use your website. With all the three Models in one platform, it is a complete package. The next-generation features of each business Model will add value to your website. Freelance Bidding Model allows employers to list their projects. Each freelancer bid for them and the selected one is assigned to the project. In Jobs Listing Model, the employers list their jobs. Interested freelancers apply and get hired. Portfolio Model is exclusively for freelancers. They can create an attractive portfolio by uploading their best previous works, can give descriptions of their works, etc. This helps them to reach out to the employers easily. Why Entrepreneurs must choose Getlancer for their Website? Presenting a unique platform which can stand out from the crowd requires hard work, market analysis, and extensive study. Agriya has done this homework and has developed Getlancer. The features in our platform are new, innovative and are not found in many of the existing freelance websites that are under use. Building a website using our platform will take your site to the top spot, without much effort. Our platform, having developed using cutting-edge technologies, is highly user-friendly, and helps employers, freelancers and admin to easily navigate without any hassles. The web designs are very responsive. Also, in just a matter of 48 hours, the entrepreneurs can have their website hosted, as our experimented platform is a ready-made package. And to the delight of the entrepreneurs, our platform has astonishing revenue making options which will bring huge profits.